Bonjour my loves! 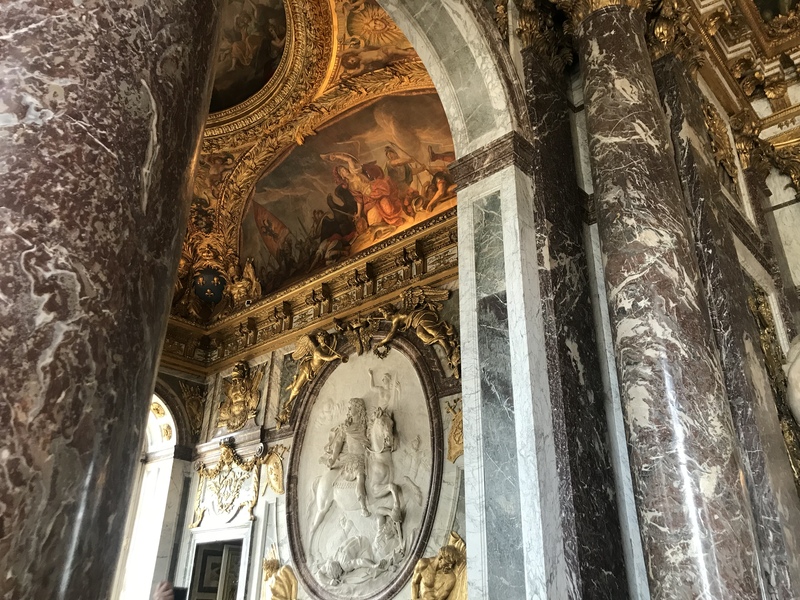 Last week I took my sister, Aryana, to Paris for her spring break. I promised her 10 years ago that when she turned 16 I would take her, but things didn’t pan out last year. This trip came about unexpectedly (like we literally found out a few days before it was happening! ), and we’re so blessed and grateful for it. 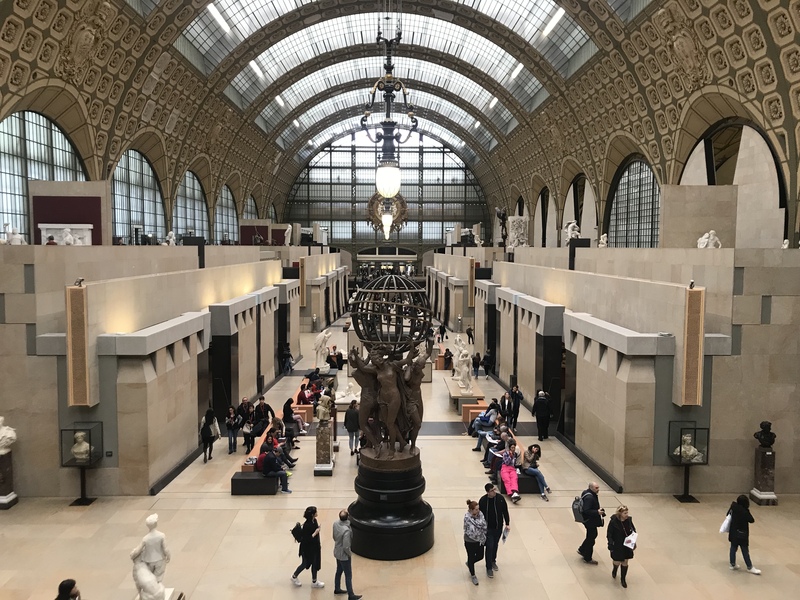 Musée D’Orsay — this was probably my favorite museum of the entire trip! 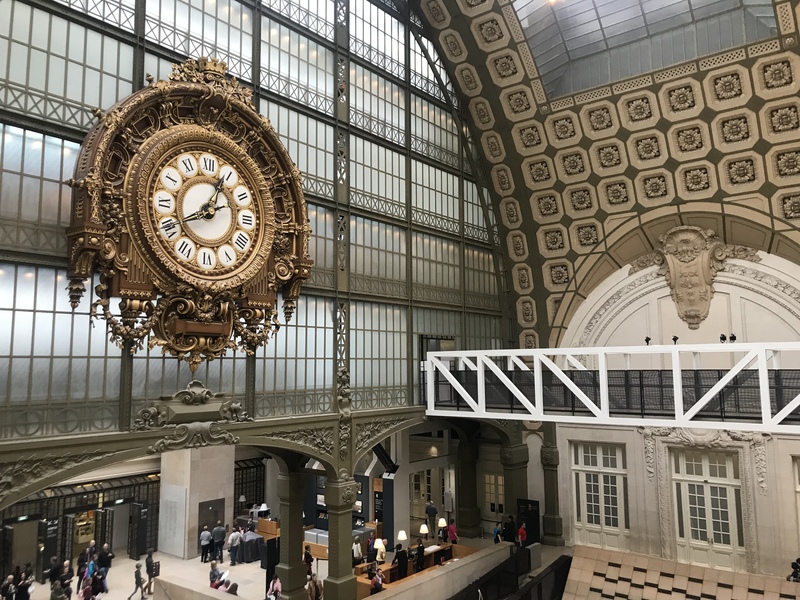 The architecture is BEYOND stunning with the glass paneled ceiling and ornate, gold clock. 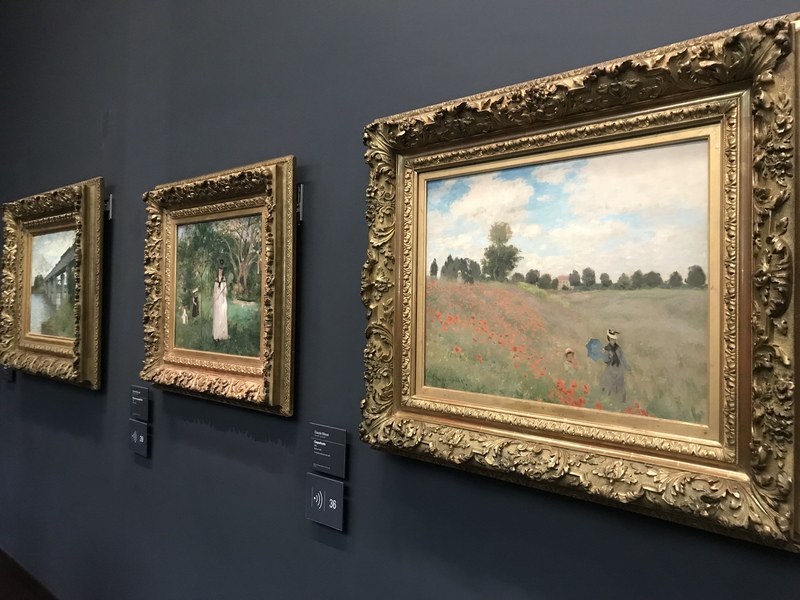 It also houses all my favorite Impressionists— Manet, Renoir, Van Gogh, Cézanne, Monet. 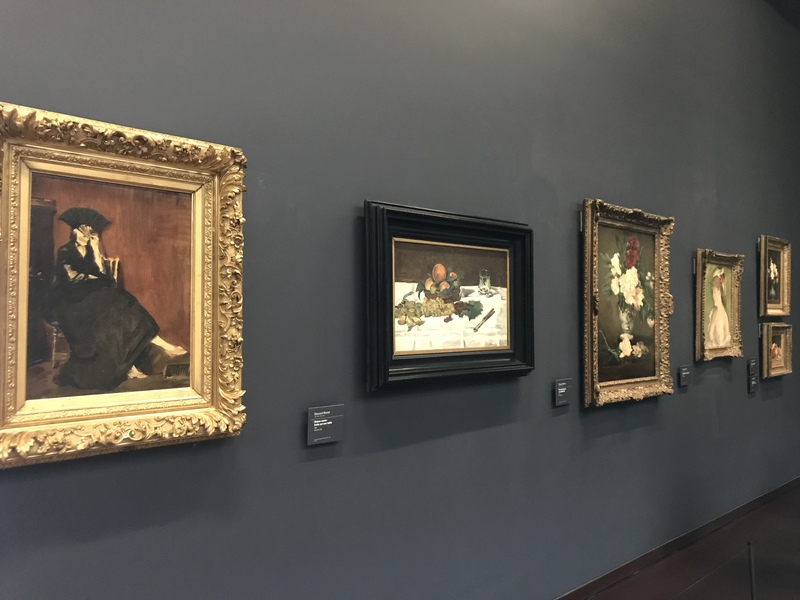 . . And let’s not forget, this is where Louis first found Blair, staring at her favorite Manet. 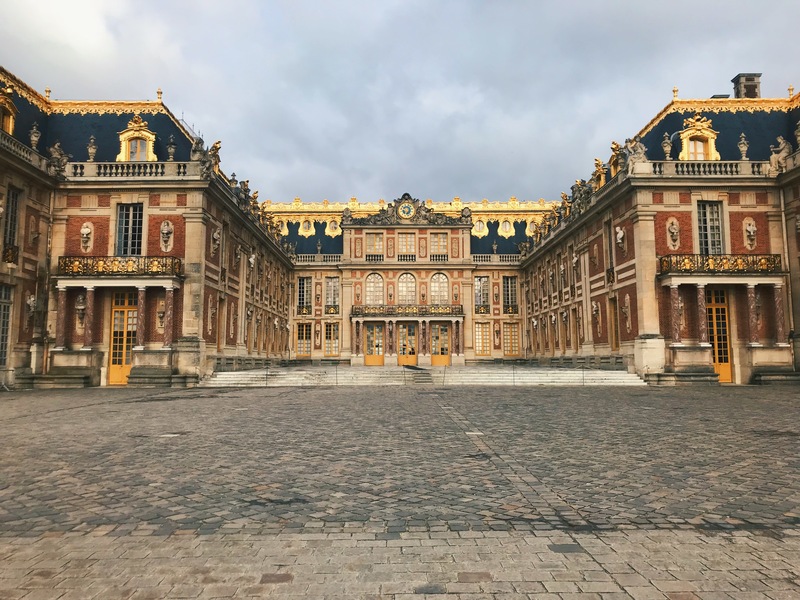 😉 Unfortunately, I was not approached by any Grimaldis or other royal heirs while looking at my favorite paintings, maybe better luck at the Met? 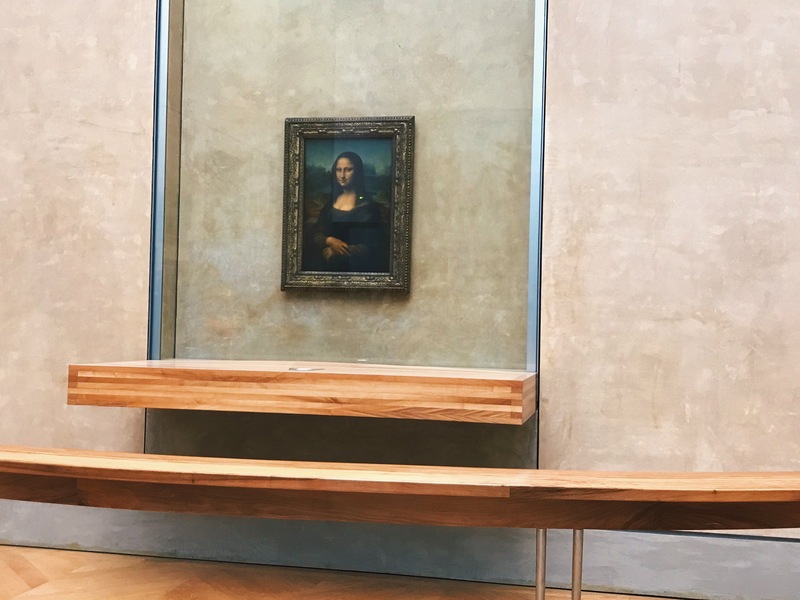 Musée Louvre — Aryana’s #1 item on her Paris bucket list was to see the Louvre, specifically the Mona Lisa. I remember when I first saw it at nine years old because it was also the first time I saw a solar eclipse—inside the Louvre pyramid!!! 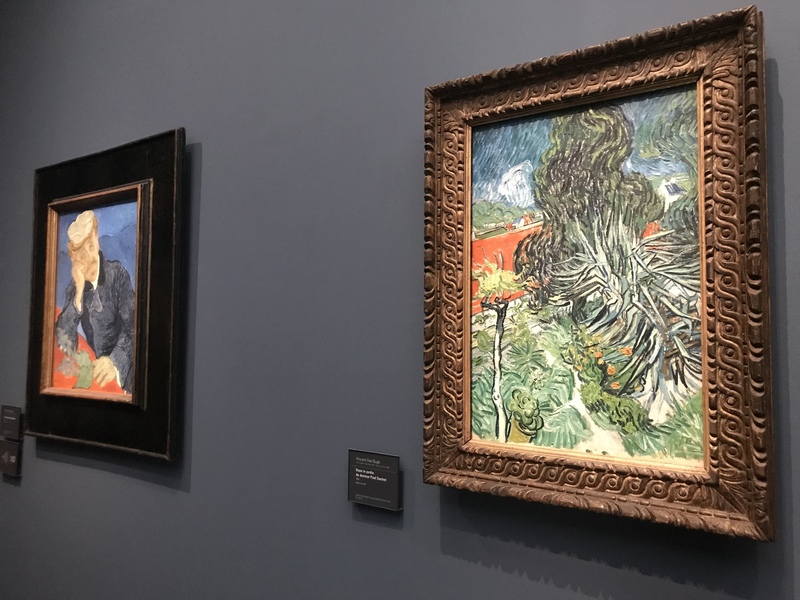 Musée L’Orangerie — this was the very first museum we checked out right after breakfast on day one. 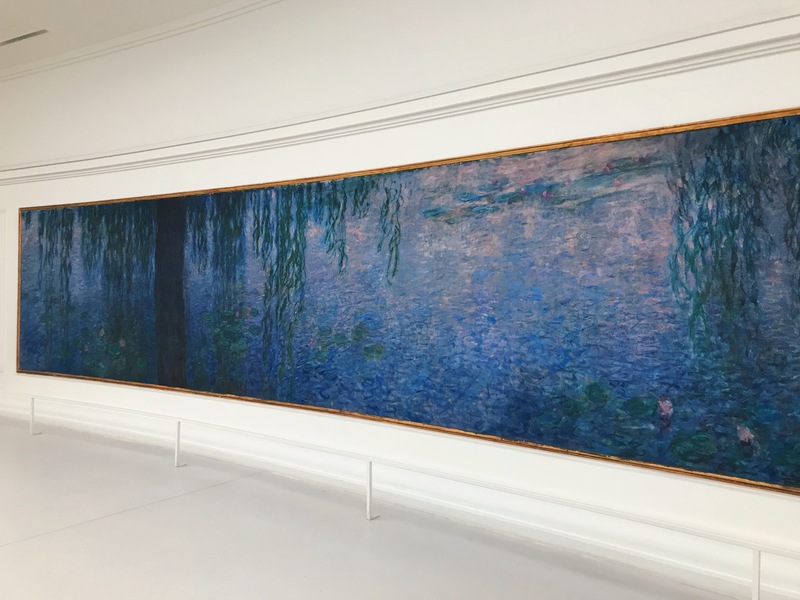 I begged Aryana to go so we could see Monet’s Water Lilies murals. They did NOT disappoint! 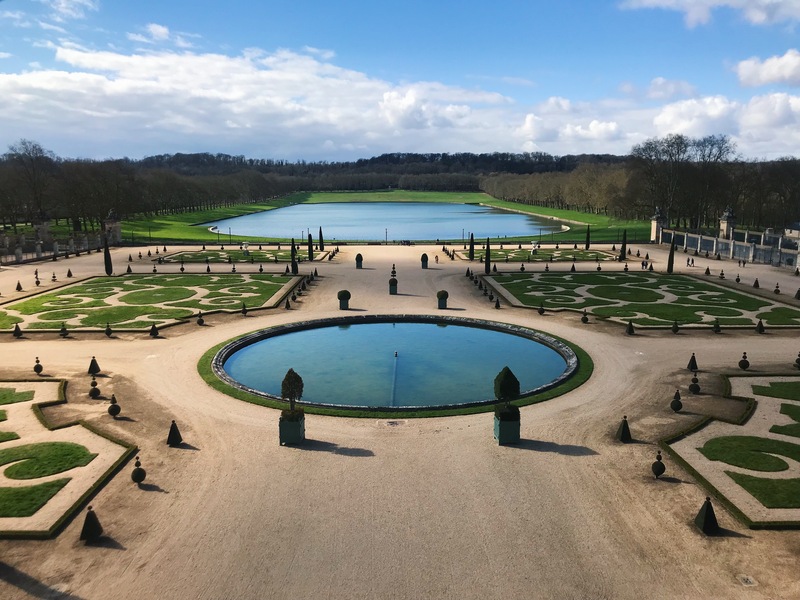 Is there really anything to say other than Versailles is one of the most magical places on earth? We got up super early to catch the train and it turned out to be the coldest day of the trip! I learned after our visit I had actually been there when I was around four years old, but I like to think this was really my first visit because everything was so new and breathtaking. 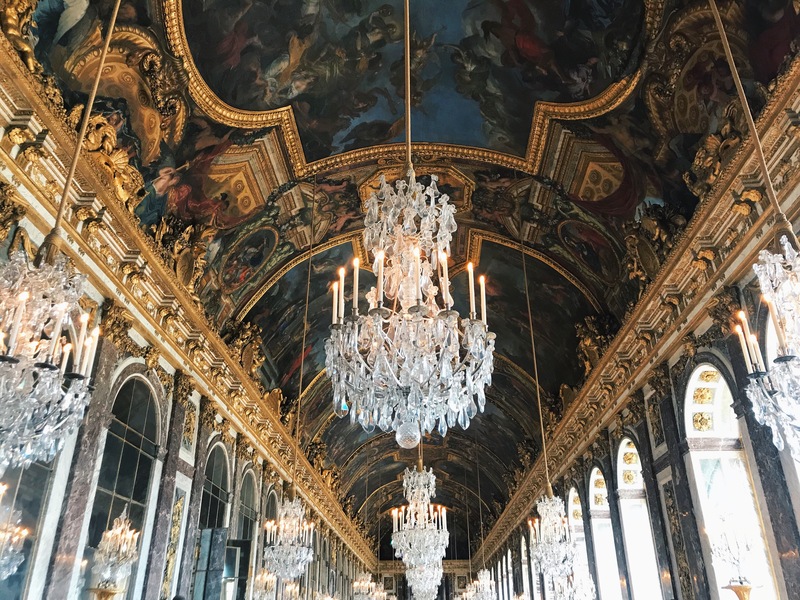 I had wanted to see that hall of mirrors for so long! *Visitors Tip: highly recommend picking up one of the audio guides while walking around. I mean, you’ve already gone all that way there, so why not fully immerse in learning and experiencing the history? 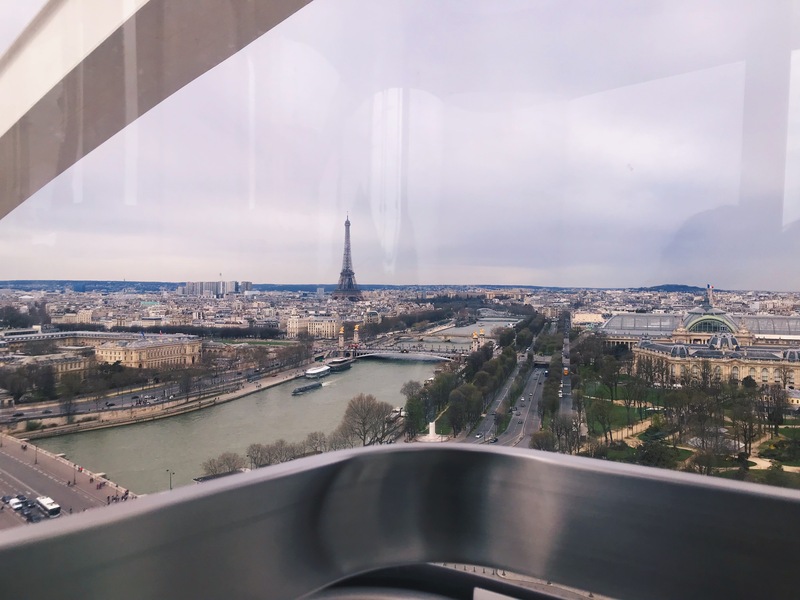 Tour Eiffel — a trip to Paris isn’t complete without a visit to the iconic landmark. My favorite part of the entire trip was watching the light show at night! 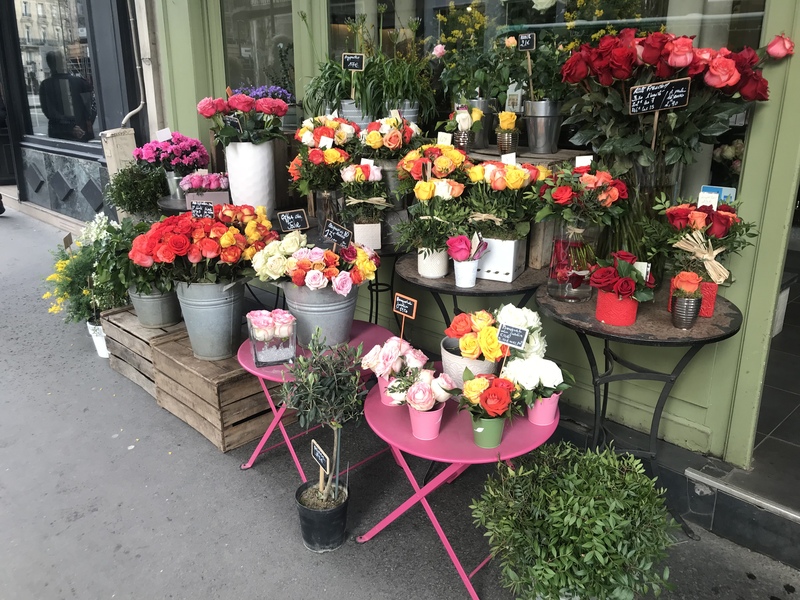 Saint Germain — this is one of my favorite two neighborhoods in all of Paris (the other is Le Marais, read on more for that!). 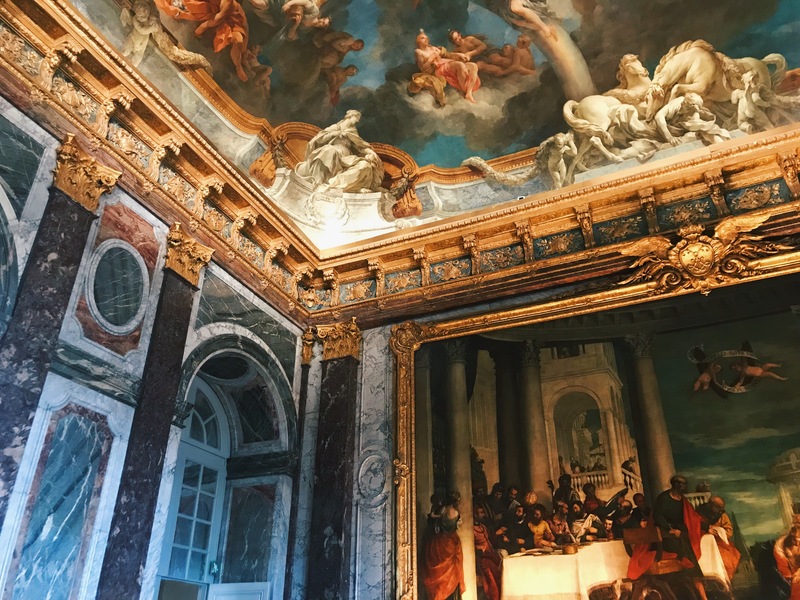 It’s so chic and to me, the most quintessentially Parisian area of the city with it’s manicured streets, high end boutiques, cute cafés, hidden cobblestone alleys, and colorful flower shops. We spent hours wandering around St. Germain. Plus, it’s home to some of the BEST food in Paris including. 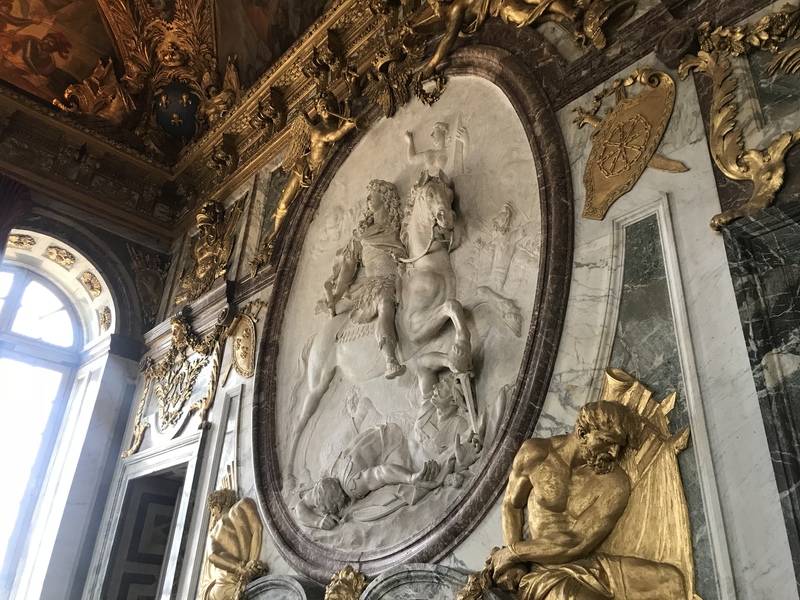 . .
Café de Flore — Aryana and I both agreed our trip wouldn’t be complete with a trip to the iconic restaurant, and we chose to go for breakfast. It was hands down the BEST morning of our whole stay in Paris—the hot chocolate is on another level! Everyone will tell you to go to Angelina for the hot chocolate, but only go there if you want to wait in a longgg line full of the TripAdvisor crowd to have a hot cocoa that is sold in all stores (they really do sell Aneglina hot chocolate everywhere and it’s an international franchise now). 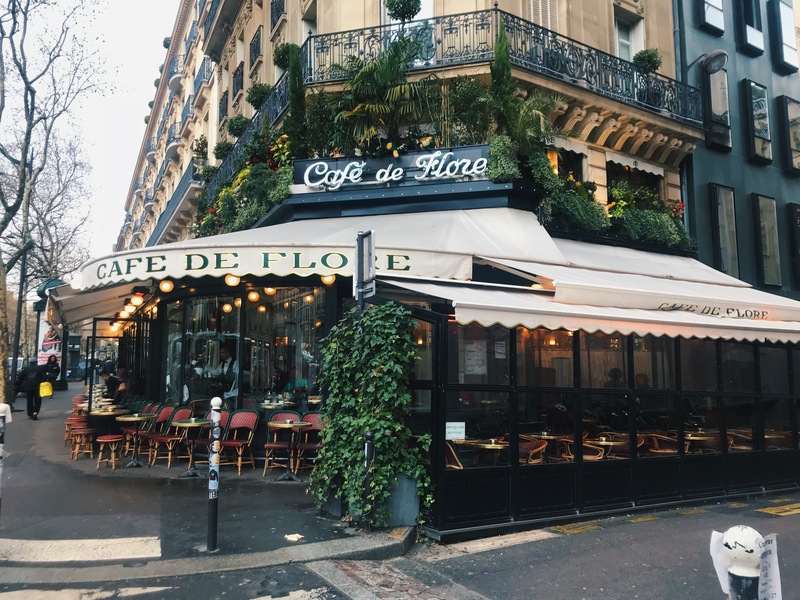 But if you want to enjoy a true Parisian experience, surrounded by authentically chic Parisians sipping their espressos and breaking into their baguettes over their newspapers, then Café de Flore is definitely the place! 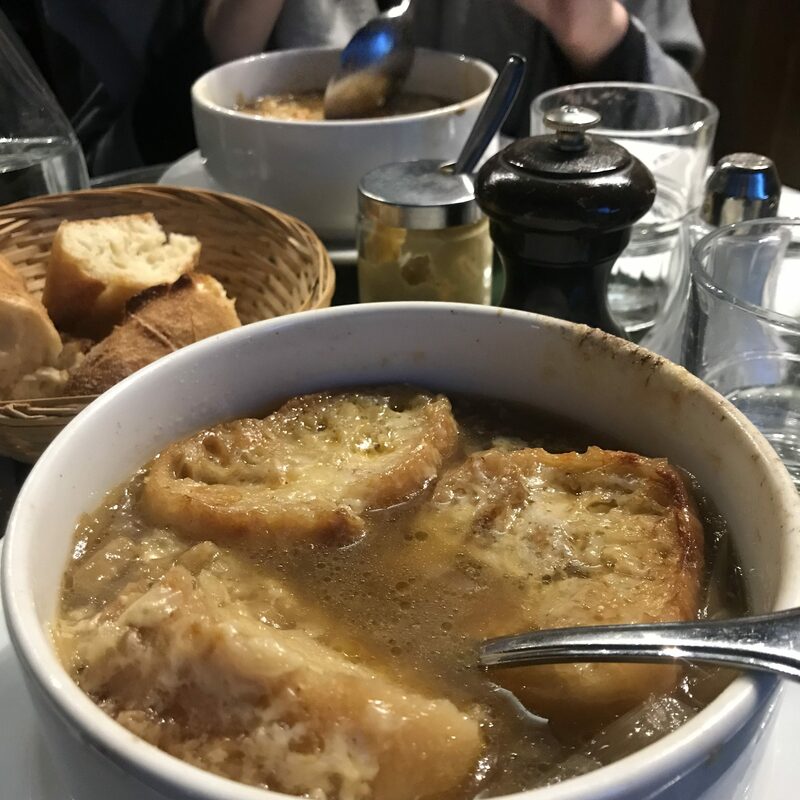 Le Marais — one night we decided to try the best street food in Paris so we headed to the super fun neighborhood of Le Marais. 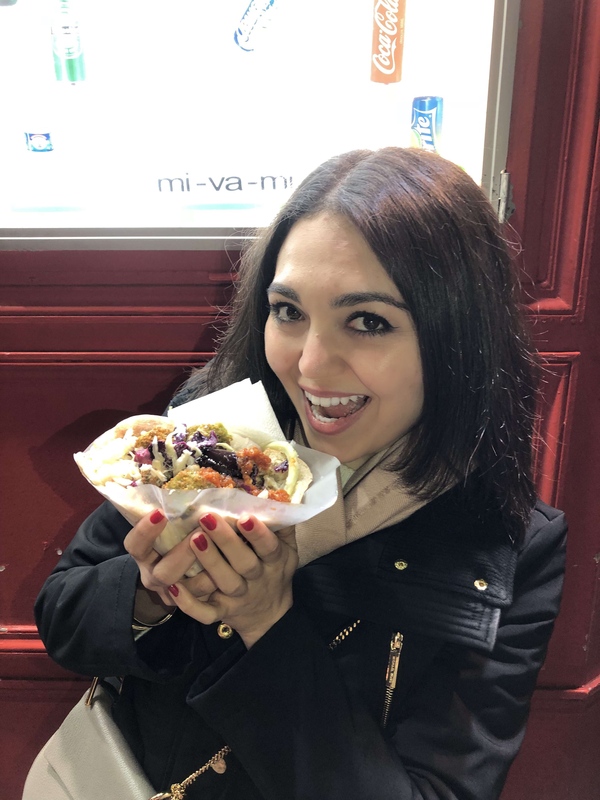 I did a lot of research beforehand and we tried the french onion soup at Les Philosophes, the falafels at Las du Falafel, and the crêpes at La Droguerie. So. Worth. It. 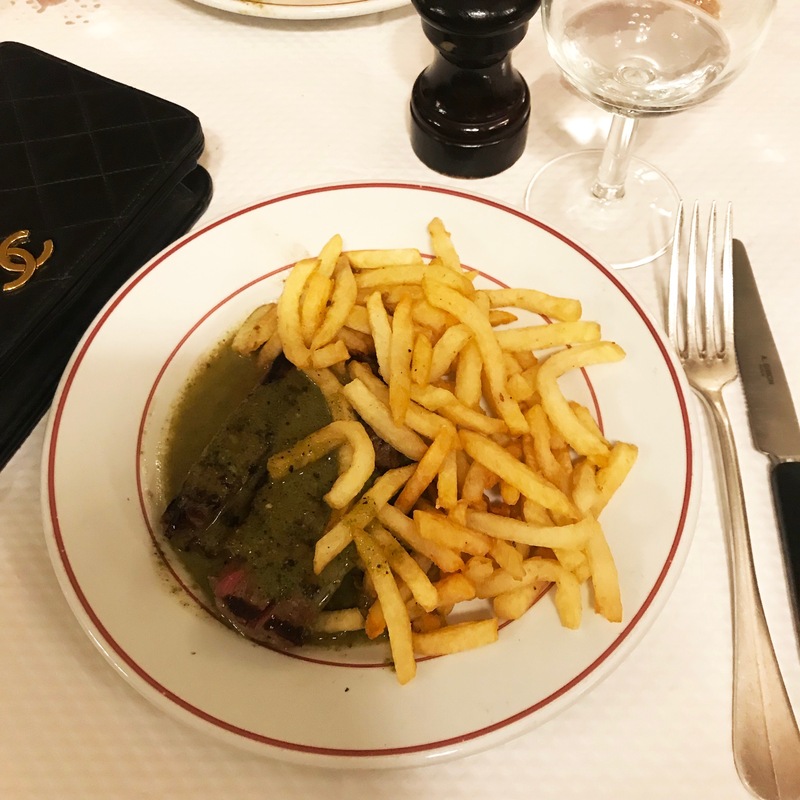 Le Relais de l’Entrecôte — Aryana and I agreed to do one night either at L’Avenue or l’Entrecôte, but Avenue just screams overpriced tourist trap and no trip to Paris is complete without steak (seriously the way they do meat is on a different level!) so l’Entrecôte it was. And we’re SO glad we did it! It opens at 7 pm every night (except Mondays!) and when we got there at 7:10 we still ended up waiting 20 minutes! I was happy to see it wasn’t just filled with tourists, but a ton of locals as well—that’s when I knew we made the right choice. There is no menu here, it’s just ONE item in the restaurant, steak frites, and one simple salad to start with. What makes it so special is the secret sauce that your steak and fries are smothered in. Droooool! 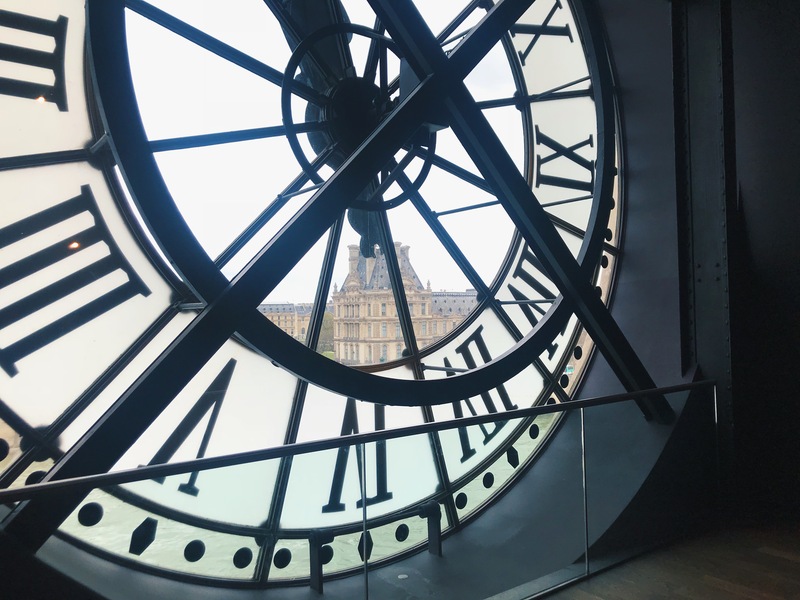 There is SO MUCH to do in Paris, it’s impossible to see everything in just one week. 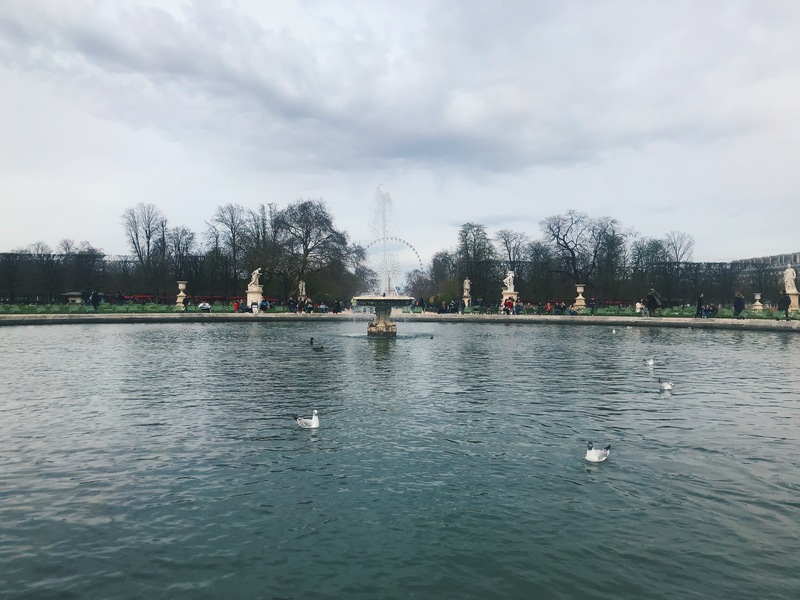 We were able to hit up a couple more places including l’Opera, Grand Palais, Pierre Hermé, and Sacre Coeur, but we sadly never got to Île de la Cité. 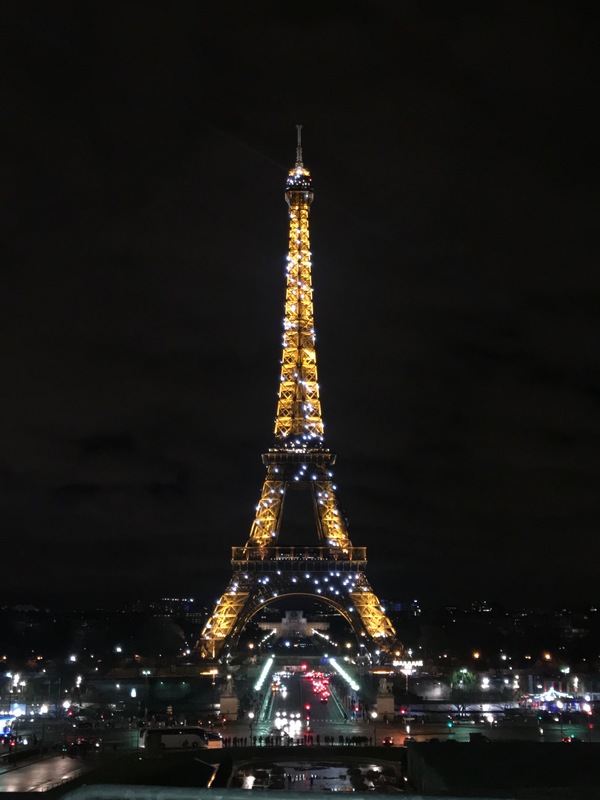 Still, I loved visiting the city of lights after so many years with my sister and wouldn’t change a thing about it! Have you been to Paris? 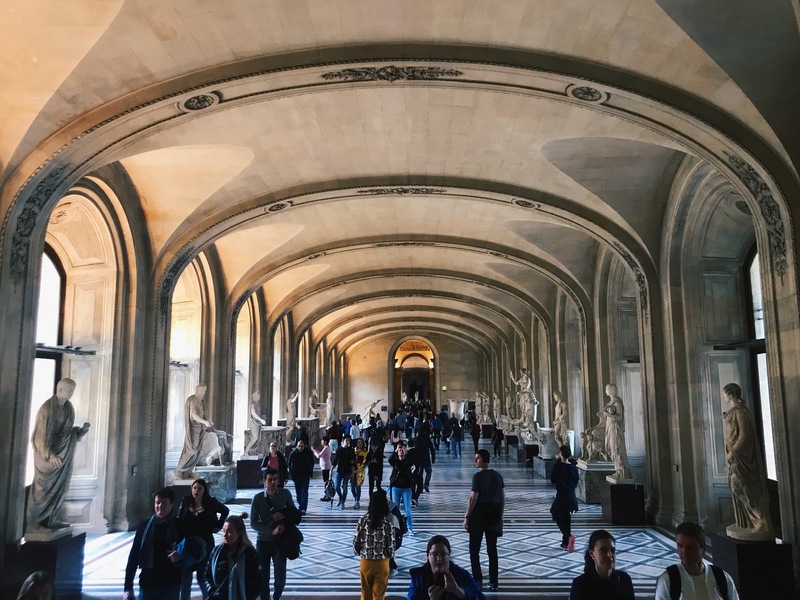 Where are your favorite parts of the city? Comment below!